"Mobbing can be understood as the stressor to beat all stressors," says Dr. Kenneth Westhaus, a professor at the University of Waterloo in Ontario, Canada. According to him, the typical mob victim is a good-to-high achiever personally invested in a secure job who does something that makes co-workers feel threatened or ashamed so they decide to get rid of him or her. Image links to a page on this site about the book "Mobbing: Sophisticated Bullying"
This is endemic in medicine. In health care people do not get fired for failing to report (for instance, see Majors). They get fired, or otherwise punished, for reporting what is wrong. Discouraging or preventing them from reporting has consequences that ultimately are fatal for members of the patient community, but that are good for the caregiving community. So the community gangs up on people who report. Researchers in the USA, UK and Australia have concluded that 80% of nurses have experienced bullying either as a victim, a perpetrator or a witness (see Hutchinson). Interestingly, when casually speaking to nurses, it is difficult to find one who admits to that. Just like doctors who, even while actively engaged in blacklisting a patient, do not believe they ever have seen that done, let alone participated in it (see Blacklisting). A nurse who saw this website contacted me and described her experience with being mobbed as the worst punishment there is. Unless you have experienced something like it, it could be difficult to appreciate how bad it is. For instance, people who have been the victims of violent crimes who then had to go to court, where they were vilified as though they were the aggressors, say that the trial was worse than the crime. The trial is what gives them nightmares and makes them so dysfunctional that they stay home and hide afterwards. Mobbing and bullying is that kind of social punishment - a group of people who make a judgment and pass a sentence against you. The nurse who described it as being "the worst punishment there is" was excluded from the group in the same way Rosemary Vossler was (see loyalty). She had tried to report a male pediatric nurse who, for six years, had been physically abusive of the children in his care. Finally it got so out of hand that she believed that a patient would die. She reported it and the medical community united against her the same way it united against Rosemary Vossler. The supervisors to whom she reported it did nothing, and the rest of the community turned on her and punished her for what they regarded as a betrayal, which is characteristic in medicine. There are those who think that life is about being part of a community, and that any meaning found in life comes from how you effect your community. There even is a field of thought in psychology that holds that an individual has no existence apart from his/her community of relationships. When your community turns on you, excommunicates you, and punishes you, what could be worse? Patient safety initiatives often include calls for reducing repercussions for reporting, but have you ever seen one that addresses social repercussions like these, the ones brought informally by the group? Have you seen any that even recognize these as a problem with consequences for patient safety? Caregivers should develop the humility to understand that they are humans with interests that always will corrupt their perspectives. Sentiments like "people don't go to work to do a bad job" dismiss all the ways in which they do. And dismiss awareness and discussion of rationalizations that allow them to believe they are not doing a bad job when they are, like the one about not letting one patient ruin your career, when the reason that helping an injured patient will ruin your career is that the community of caregivers will punish you for doing it. Other caregivers will not tolerate your diagnosing an iatrogenic injury. That is a community not only going to work to do a bad job, but bullying other members of the community into doing a bad job. Mobbing doesn't require cloaked figures carrying pitch forks amassing at your door after dark. It requires nothing more than that everyone be on the same page and isolate and punish the person who reports a problem or helps a patient that a member of the community has injured. Of course, caregivers are not objective enough to see that this is what they are doing. Their perspective is that the injured patient is a crank with a frivolous grievance who must be stopped in order to protect other caregivers, whether or not they assume those other caregivers must be innocent. They feel righteous when they do this. Righteousness is not what lead to humility. The end result is that healthcare professionals mob and bully colleagues into inaction and silence - one of the bricks in the unacknowledged white wall of silence in medicine. And part of the foundation for blacklisting in which they mob and bully patients. Considering how underground the topic of mobbing remains, there are a surprising number of books on the subject (see mobbing books). Charmaine Hockley wrote a book that was a study of workplace violence among female nurses called Silent hell: workplace violence and bullying. It examined how nurses at every level rationalize antisocial workplace behavior that causes harm to other people. While she was doing the research other nurses were critical of her for studying a topic that could give nursing a bad name. Nursing gatekeepers said that this was not real nursing research because it was not clinical. Her book is out of print now, but sometimes book searching companies can locate used copies. Bullying as workgroup manipulation: a model for understanding patterns of victimization and contagion within the workgroup by MARIE HUTCHINSON RN, PhD. It provides insight into the way bullying becomes contagious and escalates to implicate patient care. 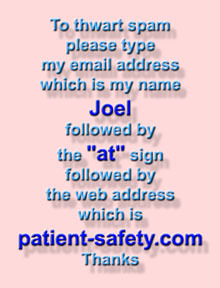 If you want to say something about any of my sites, my email address is on almost every page. I am listening. I will be sensitive to what you say.